ONZ Appointments & Vacancies – NEW! It’s been a tough month for all those experiencing the 7.8 earthquake in the early hours of 14 November followed by a constant string of aftershocks and I do hope all members are safe and sound and dealing with any imposed stress. I’m just back from Wellington where Council had its annual face to face meeting complete with a 4.6 earthquake at 3.30am to waken Board members early. It was rewarding as Chair of the Board to see Board Members so engaged and actively participating in discussions. We managed to get through a lot in a day including finalising the 2017-2020 Strategic Plan which outlined our strategic intent for orienteering; producing an outline Business Plan for the year which translated strategies into operational outcomes and actions; agreeing the budget for 2017; finalising the Board meeting schedule for the next two years and finally assessing the Boards current competency skills and identifying what skills we would ideally be seeking in any new Board members elected in April 2017. Knowing that a home based Oceania realises additional income for ONZ, the Board took the bold step of allocating additional funds in the budget to support club activities in addition to assisting ONZ’s representative teams. Amongst key items agreed to in the budget was a planned expenditure of $120K covering costs incurred by our representative teams in the 2017 domestic and international programme of events; support for a Club Forum where Board and Clubs are able to work through issues of mutual interest; continued support for the ONZ Committee Convenors Workshop and some contribution towards the costs incurred at the annual NZSS Southern Cross Challenge in Australia. There will be further planning and controllers courses to reach out to all clubs and initiatives undertaken around providing best practice to clubs for Event Management and Risk Management (including Health and Safety). The Board also recognised the importance of strengthening links with both IOF and Orienteering Australia and programmed a series of meetings. In other business, Tom Reynolds has been appointed to the IOF Medical Commission; and the Board approved the appointment of Alison Comer of Auckland to the Junior Development Committee which now has a full complement of members. December sees Junior Camp being hosted by PAPO and also a Squad Training session organised by Nick Smith of PAPO. Thanks to all the coaches, support personnel and camp organisers who have spent considerable time in planning these sessions which I’m sure will be beneficial to all involved. December also marks the run up to Xmas when we can spend some valued time with family, loved ones and friends. Make sure you do – have a great Xmas and best wishes for the New Year. Congratulations to Alison Comer (Auckland) who has been appointed to the Junior Development Committee. Orienteering Australia is looking for candidates who would be interested in coming to Australia to help fellow Orienteers both young and old improve their orienteering skills. Australia is a very big continent with orienteering active both on the West and East Coasts. If you are attracted to beautiful beaches, friendly people and wildlife but most of all orienteering we would like to hear from you. Applications close 4 times a year so check out the website and if you apply please send all your relevant details including cover letter, CV and any references you have noting experience and any coaching qualifications. The IOF Map and Environment Commissions are looking for new members. These IOF Commissions meet twice a year, in addition to virtual meetings (via email, Skype, Lync etc.) whenever needed. The IOF Council gives each commission a set of Remits, detailing their working procedure and tasks for the current council period, and the commissions each have a supporting team made up of members of council and the IOF Office. If you have a particular interest and expertise regarding orienteering maps or environmental issues, and might be suitable for commission work, please let us know by 16 December 2016. ONZ is pleased to announce Tom Reynolds has been appointed to the IOF Medical Commission. This prestigious appointment not only recognises Tom’s experience and interest in Sports Medicine, but also the need for IOF Commissions to have international representation. The Junior Development Committee has forwarded recommendations to the Council on proposed Schools Grades. These recommendations have received the endorsement of the NZSSSC, so will be formally approved at the next Council meeting for implementation in 2017. With the qualifying criteria for the National Squads including time limits on many of the performance criteria it is inevitable that each year there will be changes to the squads, although, as has been seen this year, newcomers can be admitted during the course of the year. So, congratulations to the following who are named in the National Senior and Under 23 squads for the coming year from 1 November 2016 to 31 October 2017. The 2017 SuperSeries will consist of four rounds. PAPO invites Year 5-8 Orienteers to a training camp Spencer Beach Holiday Park, 17 – 22 December. Participants are welcome to come for the whole time or for a shorter period. Go to http://papo.org.nz/events/view/59/year-5-8-training-camp to register. Pick up and drop off will be arranged for those travelling into Christchurch airport. If coming for the whole camp, flights should booked to arrive by mid-morning on Saturday 17 Dec and to leave after 2pm on Thursday 22 Dec. Flying in or out at other times is possible but flights should be before 9am in the morning or after 6pm in the evening to ensure that we can arrange transport. Coaches will include four Danish junior elites with extensive experience at coaching in Scandinavia. Closing date for registering is 30 November. We have a large lodge booked and hope that most participants choose to stay in the lodge. We will require some adult support – if possible please provide one adult for every four children from your area. Accommodation and food will be subsidised for accompanying adults but there will be some cost which will only be available later. 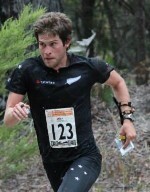 With the number of registered orienteers for WMG2107 approaching the originally anticipated ceiling of 1,000 athletes five months out from the Games Opening Ceremony, Orienteering New Zealand has negotiated with WMG2017 spaces for an additional 400 orienteers in both the Sprint and Long Distance competition. WMG2017 incorporates the 2017 World Masters Orienteering Championship(WMOC). This annual Championship event can attract up to 3,000 competitors when staged in the Scandinavia, the home of orienteering. Eight years ago, when WMOC was last staged in Australasia, as part of the Sydney World Masters Games in 2009 it attracted 1,200 athletes, so it is exciting to target 1,400 for Auckland in 2017. The old website www.sportsground.co.nz/soc will be closed down. ONZ has updated its e-newsletter database which now allows you to chose which areas are of special interest to you – such as High Performance, Technical, Mapping. To update your email list Preferences, please Click Here.